In 100% of the car versus pedestrian collisions, the car wins. No amount of money, assuming that the defendant even has the money or assets to satisfy a large judgment, can bring back to a pedestrian his or her leg or arm or restore brain damage. Arguably, no amount of money can restore a victim of a car versus pedestrian collision from the lifelong emotional consequences of a serious accident. 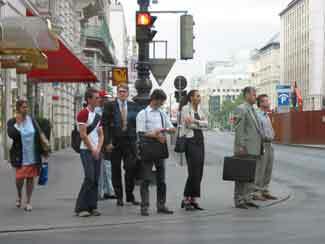 Many pedestrians, at their peril, seem to think that they have an absolute right-of-way when they seek to cross or in some other way, engage upon a roadway. This is not only wrong in law you can also have tragic consequences either financially or healthwise. When pedestrians do not observe do care for their own safety, not to mention the safety of others, the courts have not hesitated to find them either completely or partly responsible for the collision or injuries that result. Quite a bit of law goes into the mix in determining liability as a result of a pedestrian-car collision. There is a strong undercurrent of old common law which has not been displaced by any statute: to exercise due care, a duty of care owed by pedestrians and drivers to exercise due care for their own safety and the safety of others. Further, each jurisdiction generally has a highway traffic statute. 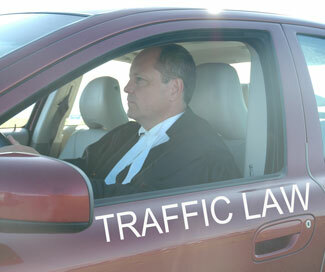 Many, such as Ontario and Alberta, place the onus on the driver of the vehicle to prove that he or she was not negligent for an accident with a pedestrian. "The onus creates a rebuttable presumption that the injury arose from the defendant’s negligence.... If the whole of the evidence shows that the defendant was only partly at fault, the presumption may be rebutted in part, and liability can be divided...."
"... faced with a sudden emergency for the creation of which the driver is not responsible, he cannot be held to a standard of conduct which one sitting in the calmness of a courtroom later might determine was the best course." A duty to anticipate risk can arise, depending on the circumstances, and based on the driver's ongoing obligation to maintain a proper lookout. Pedestrians must ensure they are visible to the driver. The law cases demonstrate the application of the law in this area. On June 11, 199, at 8:30 p.m., Bryn Bouchard, without looking first, tried to jog across a busy highway 43 to join up with some friends who had parked on the other side of the highway. He was hit instantly by the Ford Taurus driven by Jerry Chalifoux, at a speed of 105 KMH. Chalifoux never even had time to honk. Bouchard was knocked off his feet and his head breaking through Chalifoux’ windshield. Bouchard did not survive the collision. "… there is no proof that Mr. Chalifoux was even partially at fault for this terrible accident." Compare this with the facts in Cooper v Crockford. On November 1, 1997, Brian Cooper, intoxicated, walked right into an ambulance racing by with sirens blazing, sustaining serious injuries. It appeared that Cooper was near, but not on, a pedestrian crosswalk when hit. But Cooper's lawyers argued that the ambulance drivers were travelling too fast and not alert given the proximity of the crosswalk. "… the Defendant driver could have reasonably avoided the accident. However the Plaintiff was the primary cause of the accident as his actions represent a major departure from the standard of reasonable conduct by a normal pedestrian. As such I find the Plaintiff pedestrian 2/3 liable for the accident; and the Defendants 1/3 liable for not having seen the Plaintiff earlier and for not avoiding the accident." "Mr. Grant was the sole cause of this unfortunate accident. I find no fault on the part of Mr. Dempsey." "What is noteworthy in this case that the respondent was not crossing in a crosswalk and chose to take a risk by crossing mid-block. She was therefore obligated to yield the right of way to vehicles on the road. She did not do so. 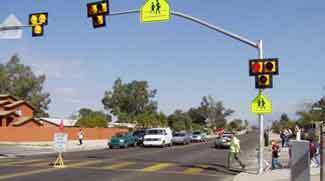 There is some duty that the pedestrian must take reasonable care for her own safety. Each party has a duty to exercise care." "There is no obligation upon a motorist to travel below the speed limit in order to meet unforeseeable emergencies, such as a pedestrian stepping off the curb into the path of an oncoming vehicle when it was impracticable for the motorist to stop." "…concluded that liability should be apportioned 50/50 between them because each should have been keeping a better lookout than they did." Basic physics (or should that be chemistry?) dictates that no pedestrian will ever come out ahead in a collision against a car. Years after such a collision, the law will put some cash in the pocket of his lawyers and maybe even a bit for the injured pedestrian but it just does not have that same jingle when it bounces off a prosthetic. And if the pedestrian was careless in regards to the accident, the prosthetic might come without the cash.